Shed-splitting or Filling Floats — This defect is the result of a harness not being properly set. With the shed not being clearly defined, the shuttle passes over ends contrary to the design of the fabric. 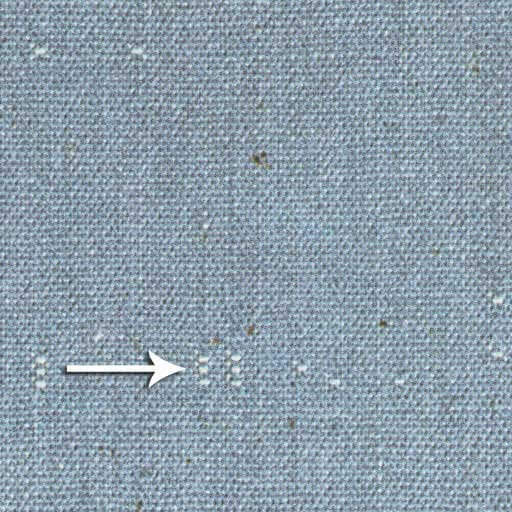 This condition may vary in intensity and affect as much as one-third of the width of the fabric.